“Monster Laboratory” seeks to motivate beholders to think about and discuss the issue of “animal rights”. It uses the theme of genetic manipulation to strengthen the public awareness of animal rights and invite people to learn about the consequences of genetic modification. Originally, genetic modification had been a sign of progress in biotechnology, pursued with good intention. However, human beings have come to abuse it, out of sheer greed. In order to point out the excesses and uncertain consequences of genetic manipulation and, above all, implicate the suffering of the animals, which is light-heartedly assented, the animals here are shown as genetically deformed, scary creatures. 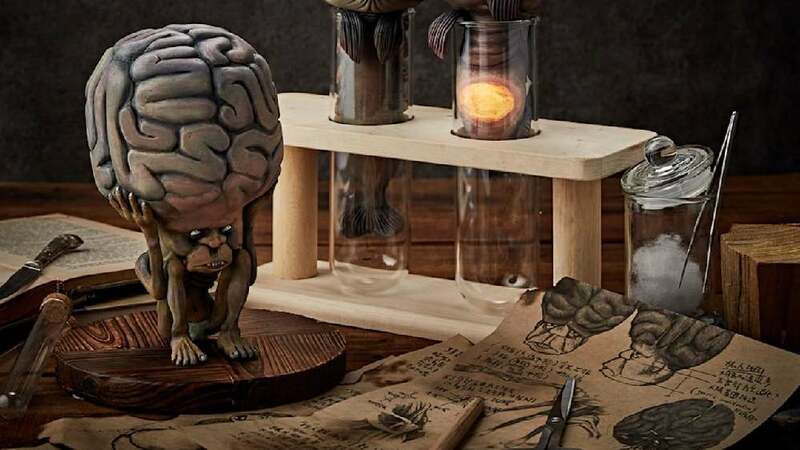 Truly disfigured into monsters, these creatures are further deformed either because the test tubes and flasks in which they sit – as their artificial place of origin – have become too small, or because their organs have turned inside out. Fear and terror are written all over the faces of these vividly illustrated animals. Behind the benefits that humans get, the agony of the animals depicted here aims at giving humans a taste of their own medicine. The fact that the design of these illustrations chooses such a realistic approach towards depicting the topic of genetic engineering reinforces the creeping effect that it seeks to evoke. The idea to realise the “monsters” not as two but three-dimensional illustrations makes these depictions both fascinating and utterly repugnant. The intended message of weighing the benefits of genetic manipulation against the agony of the animals is thus conveyed in a highly impressive manner.